The 2014 Brisbane Writers Festival had an inspiring launch on Thursday night when author/publisher Dave Eggers (A Heartbreaking Work of Staggering Genius, What is the What – about the lost boys of Sudan) told a full tent about the genesis of McSweeney’s publishing company and its 826 Valencia Writing Centres. The tutoring behind these pirate, superhero and other themed storefronts has helped countless children with their writing. Groups doing similar work in Australia are Sydney’s Story Factory with its Martian Embassy, Melbourne’s 100 Story Building, and Book Links in Queensland is working towards its own centre. My next session was ‘Dangerous Allies’ where Robert Manne interviewed Malcolm Fraser in front of a capacity crowd. The insights about Australia’s alliance with the US were provocative and chilling. 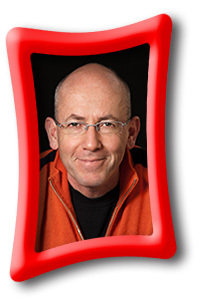 ‘Zen and the Art of Tea’ was a light-hearted exploration of tea by Morris Gleitzman and Josephine Moon. Josephine’s tip about brewing lavender, garlic or basil to make teas sounds worth trying and Morris – a literary Geoffrey Rush – was hilarious. He personified coffee as a bully, and tea as a whispering lover. David Hunt was in fine form discussing his Indies Book winner, Girt which is a retelling of Australian history with a comedic eye. It was fun to cross paths with David Malouf (for the second time in two weeks), Jennifer Byrne, Will Kostakis, Pamela Rushby and Tristan Bancks. If only there was more time for more sessions … I would have loved to see YA writers such as A.J. Betts, Isobelle Carmody and Jackie French but they were either offsite or clashed with my events. Andy Griffiths was so popular he had his own signing area after the other children’s writers’ part of the program had finished. Chairing Andy and John Boyne (Boy in the Striped Pyjamas) a few years ago was one of the funniest times of my life. 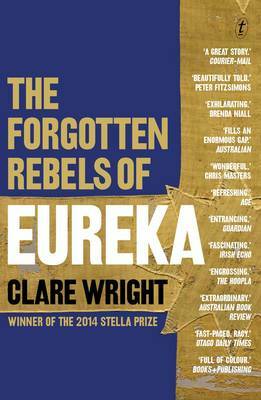 This year I was privileged to moderate sessions with Clare Wright on The Forgotten Rebels of Eureka (Text) and Nick Earls on Analogue Men (Vintage). 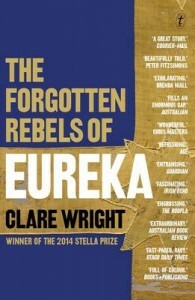 Clare must be the world’s most informed person in her field of women at Eureka. Her book deservedly won the Stella Prize this year. It is compulsive, engaging reading, notwithstanding its 500+ pages. 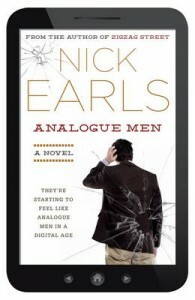 Nick was as funny as expected and revealed a secret about Analogue Men. We learned that his favourite Dr Who is Jon Pertwee and his favourite tech device Bluetooth. I explained how I laughed out loud repeatedly over one scene that I read on instant replay and Nick implied that my brain is like that of a goldfish. But no – it really was the skilful writing. It was wonderful to hear the laughing throughout this session and see the animated audiences in both these events. Many thanks to the authors involved in the Festival, particularly Clare and Nick, and to the incredible BWF staff and volunteers led by Kate Eltham.